well i was wrong...big time! the one i had been lusting over *up-the-road* was £50...that's a lot of potatoes!! i readied myself...spotted the line at the bank...& nearly fell over when she said that he could have them both for £15...! 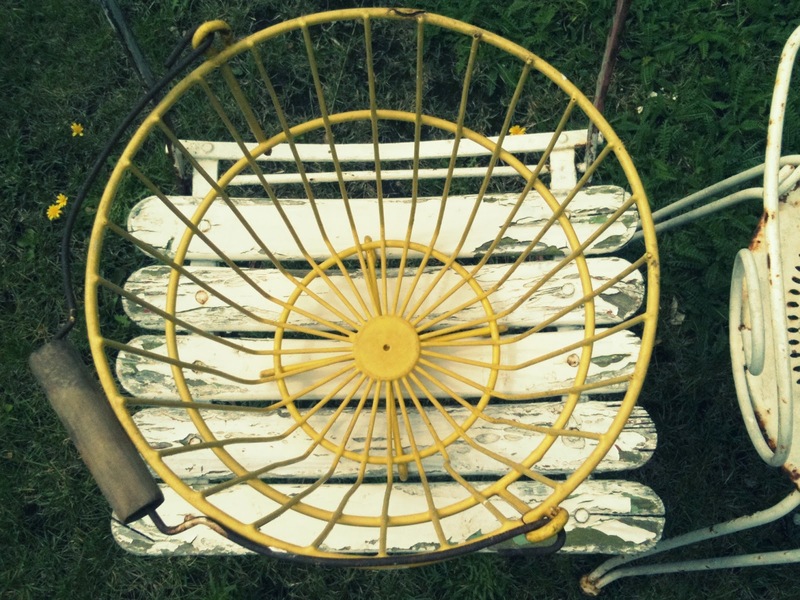 the kid is a up-cycling-make-mum-delightfully-happy-vintage-spotting-genius! how brilliant is this stuff!! all thanks to my gorgeous boy! i dropped my canon dslr off a park bench a week ago- that's how much i love watching my kids do skate tricks in the park- i jumped & dropped my camera! so you'll have to bare with me & my i-phone pickies this week as my beloved never-leaves-my-side camera is at the *canon spa*! 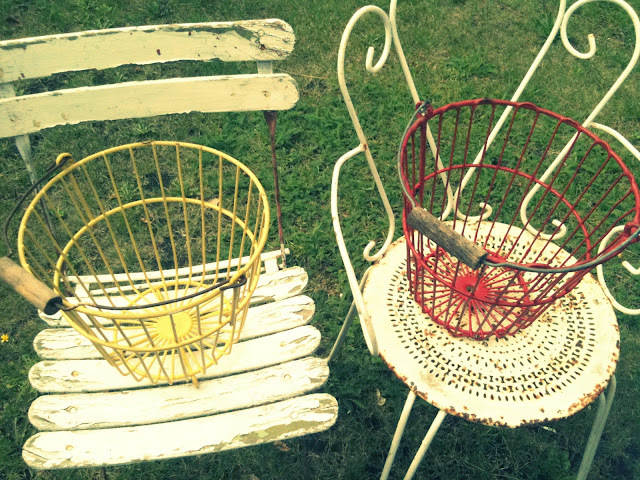 Love the baskets, and isn't it nice to know that someone is listening to us! wow--I'm so jealous--love the chairs and vintage baskets. well done to your son! what a cool kid. 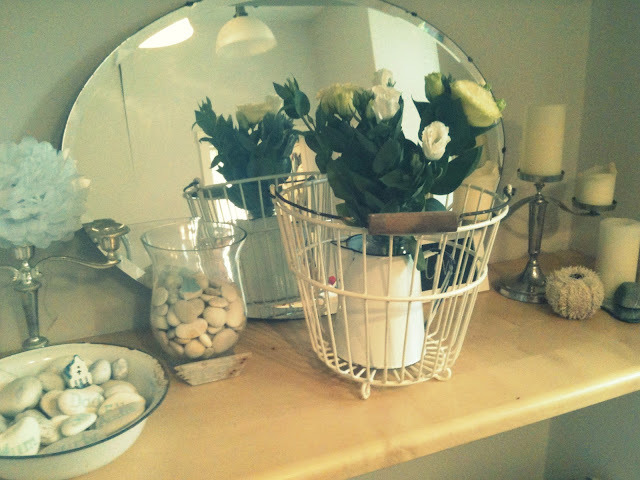 love the baskets, the story and the photo with the mirror. What a find. I love the little feet on the baskets. Good job Sol, you have a fine treasure eye! your boy is a genius! 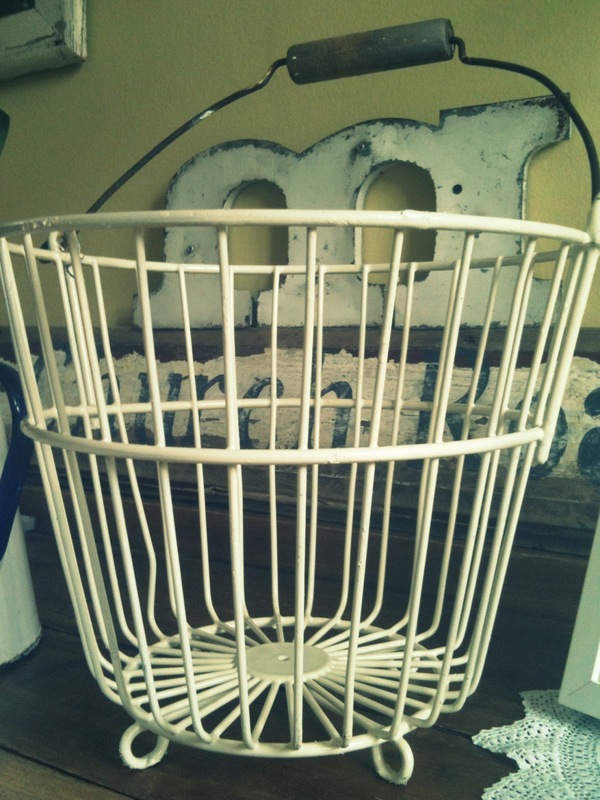 i have a similar basket but it is an egg basket. spray paint is my best friend, it is so easy and quick and cheap! i can't wait to see the beds painted now. glad you are back melissa, i missed you! Fun! I've been looking for vintage, metal baskets except in a rectangle shape. No luck yet, but this gives me hope! The spray paint made such a difference - they look great! ok, off to check out your fb page! I found an almost identical basket on a recent visit to the local antique shop. 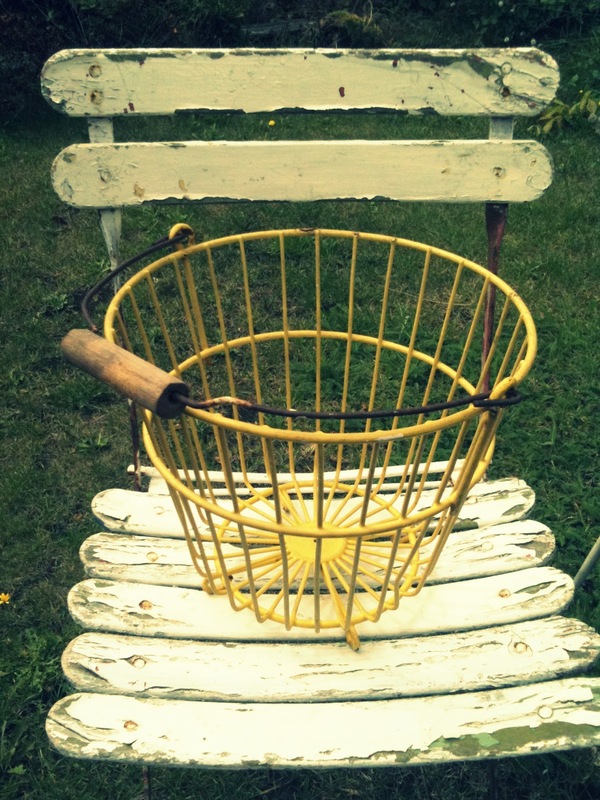 Sort of liking its distressed, aged yellow look, but now contemplating a freshly spray-painted makeover.....decisions, decisions! Your chippy chairs are delightful! How do you find such great stuff?! Please send Sol to me. I desperately need his well-trained eye. You crack me up. 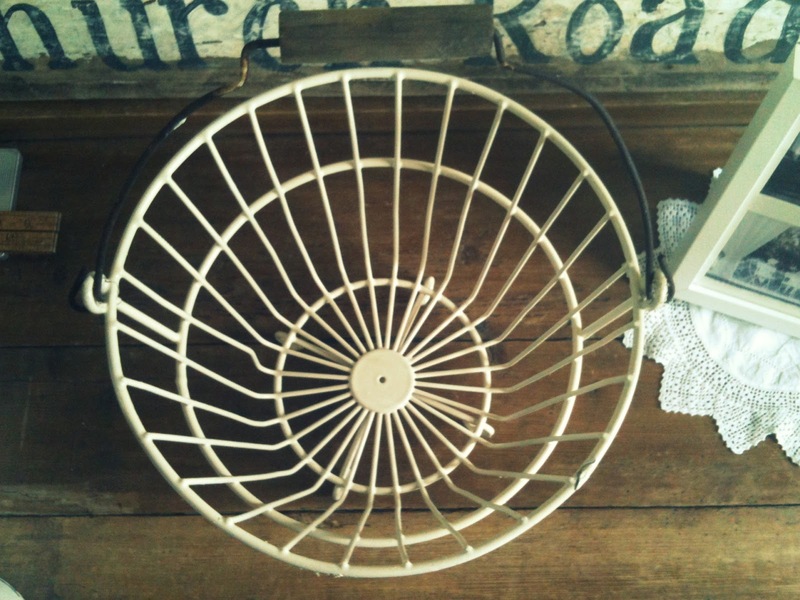 Love the upcycling on the potato baskets. As much as I love red, the white really does look fab. Do you lend out Sol for those of us who need a little bit of extra help in the "spotting fab finds" department? WELL DONE SOL....very impressed! my sweet baby girl has spotted a few treasure for me, "start em young" is my motto :) i will also be trying heirloom white as well now...looks fantastic!